The Ripper Group is the Official Drone Partner to Westpac Rescue We are category pioneers in the utilisation of drones to deliver lifesaving solutions. 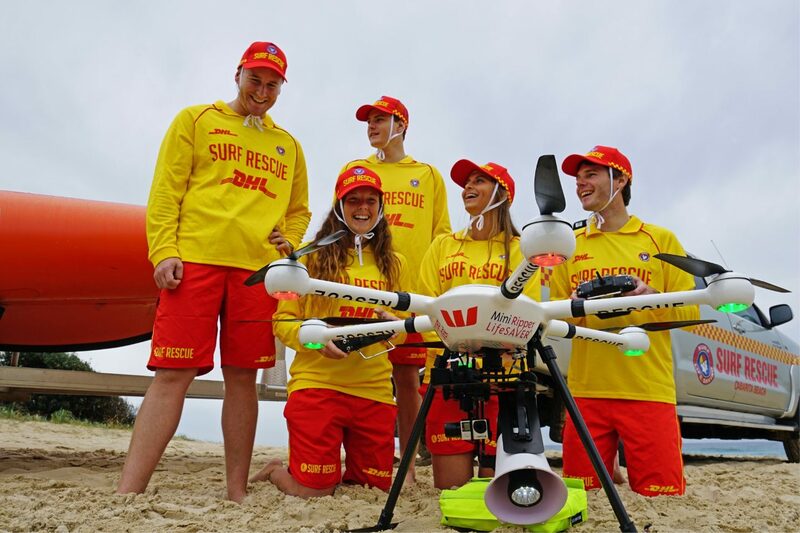 Westpac partnered with the Ripper Group to develop and integrate a Ripper Group RPAS/Drone Strategy Package for their beach rescue operations. This encompassed stakeholder engagement, intensive R&D, rapid prototyping and continuous deployment with over 18 collaborative technology partners. In late 2018, after successfully quantifying the rescue potential of drone technology for the surf environment, we successfully handed over to Surf Lifesaving Australia to self manage the ongoing drone deployment across their patrolled beaches. The Ripper Group is proud to have started this program 2015 with the ground breaking technology and strategy which continues to deliver a world-leading rescue product into to this ever-changing high-demand environment. The Ripper Group will continue to provide the leading edge of drone rescue innovation, in particular shark recognition technology, through its ongoing role as Official Drone Research and Development Partner to SLSA. This is innovation at its best that will lead to a safer Australia. For over 40 years, the Westpac Lifesaver Rescue Helicopter Service has been a crucial community service in Australia, and we believe this investment in the Westpac Little Ripper Lifesaver technology has the potential to help save even more lives. Mr Brian Hartzer, Westpac’s Chief Executive Officer.